Your app's last version was released on October 31, 2017. It is important to regularly update your app. Best practices recommend to update your app every 4 to 6 weeks. This means fixing reported bugs, improving existing features, launching new features etc. Keep an eye on users' feedback. The next great features may already be asked by many users. Too many cards filled in your wallet? Don't know which card should put in your wallet? 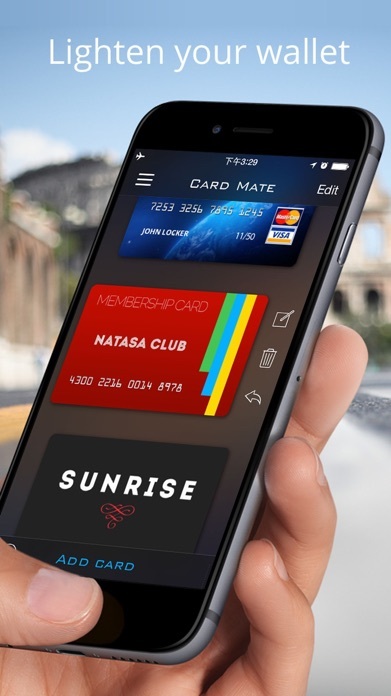 Or were you in a need of your credit card details while on the go without your wallet? Do you think it's not safe to carry all your cards in your real wallet? 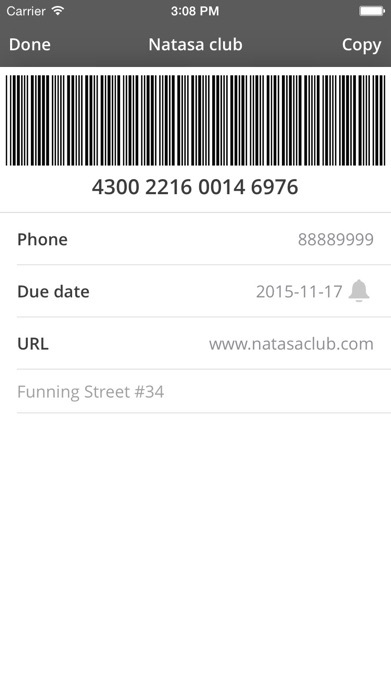 This is where Card Mate as a secure card manager comes handy. * Card Mate can auto scan and save your card images, and you can store plenty of addition information with these card images. Scan card process is very simple and quick. Card Mate can store your Credit Cards, Bank Cards, ID Cards, and any other type of cards. * All your cards images and information were encrypted using Industrial-strength encryption algorithm, and saved in the local storage of your iOS devices. There is NO server, and Nothing will be upload or send to the server, or any other place. * You can set an access password to protect all your information, nobody can see or access your cards without this password. Support both Dot-lock and password PIN pad, use more secure pattern lock or 4 digits password as your like. * Support card category, classify and manage your cards more effectively in category, including add category, edit category, delete category, drag to reorder category. 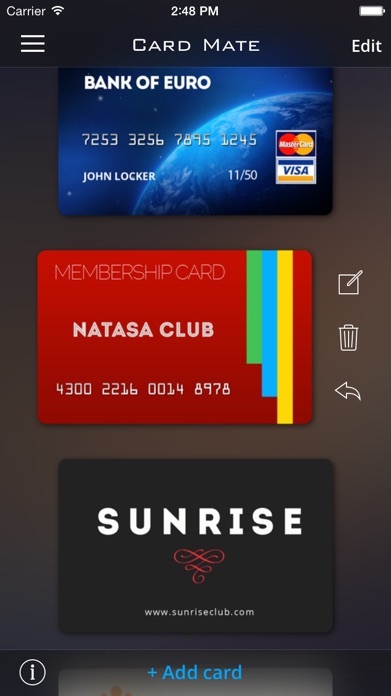 * Beautiful look and convenient operation, swipe to show/hide menu, tap to show/hide card information and copy to pasteboard, double tap to preview card images. All information in one place, access your card information anytime and any place. 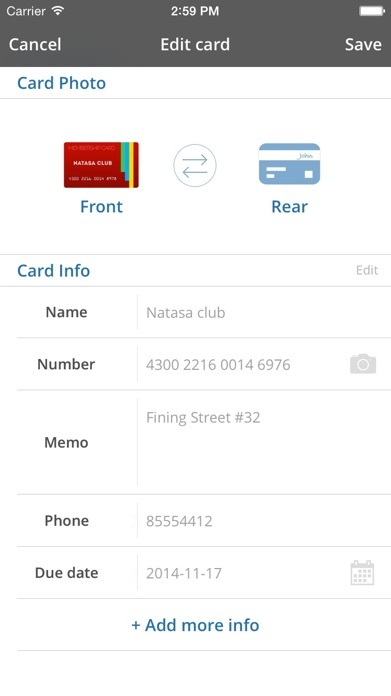 * More advanced and user-friendly operation, drag cards to sort in any order, drag categories to sort in any order, drag to delete cards, drag to add cards to category, and two fingers swipe up to close card images preview.